Tapitallee Lodges is located 12.4 km west of Nowra, south west of Berry and just over the hill south west of Kangaroo Valley. 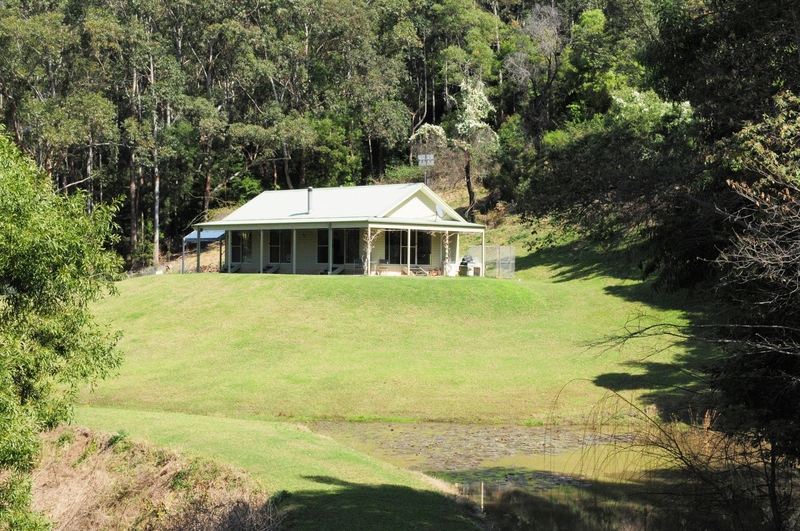 They are the closest accommodation to Arthur Boyd’s gift to the nation, Bundanon and Riversdale. We have set a maximum of four people and if you are bringing small dogs a maximum of two for all cottages. In Heron’s Rest, The Stables and Wisteria Cottage dogs must be under control and not bark or yap so guests are not disturbed. Cats are permitted, Small dogs are preferred, Medium dogs (11 kg to less than 34 kg) are permitted. Secure, fully fenced kennel area at The Stables.